Dentures are custom made to fit your mouth, so they take on the appearance of your natural teeth. Modern Dentures can be made in multiple ways and materials, our Dentists will explain all the possible options. 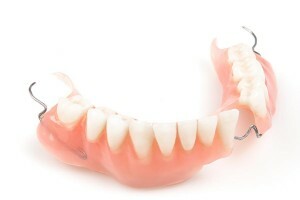 The two types of dentures are – Complete Dentures and Partial Dentures. 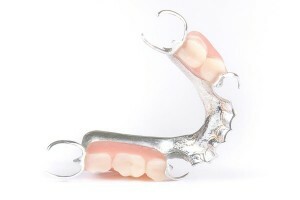 Complete dentures suit those who desire to replace all the natural teeth in either their upper or lower jaw. On the other hand, partial dentures are used to fill in the space left by lost or missing teeth. Partial dentures are attached to the natural teeth with metal clasps or precision attachments. Dentures traditionally used to be removable. However, advanced dentures & false teeth that we offer in Auckland can be secured in place with dental implants. They cover less tissue, which provides the wearer with an improved ability to taste in comparison to the old style dentures. 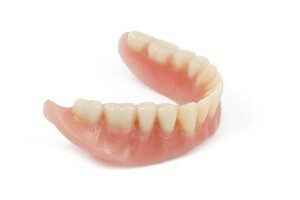 Additionally, the non-removable dentures offer greater stability and comfort.